(TibetanReview.net, May23, 2016) – Following her assumption of office on May 20, China as warned Taiwan’s new President Tsai Ing-wen that it would cut off critical contacts with the island if she did not express support for the concept that there is only “one China”, reported the AFP May 21. The Chinese response came after Tsai, in her inauguration speech, called for “positive dialogue” with the Chinese mainland, but stopped short of any compromise on Beijing’s demands that she stand behind its so-called “one China” principle. With its pretention of being the legitimate representative of an undivided China, Taiwan’s Kuomintang (KMT) party, under outgoing president Ma Ying-jeou had recognized the principle. The Beijing-friendly Ma oversaw an eight-year rapprochement between the former bitter rivals. Taiwan is a de facto independent country, having ruled itself after splitting with the mainland in 1949 following a civil war. However, it has never formally declared independence and Beijing still sees it as part of its territory awaiting reunification. Tsai’s Democratic Progressive Party (DPP) is traditionally pro-independence and Beijing has warned her against any attempt at a breakaway. Beijing and Taipei have held regular, official communications since 2014. However, China says this will stop unless Tsai acknowledges the “one China” principle of the “1992 consensus”. The tacit agreement followed a 1992 meeting between Chinese officials and the KMT which laid out the “one China” ideology, but allowed each side its own interpretation. China’s official Xinhua news agency May 21 quoted Ma Xiaoguang, spokesman for China’s Taiwan Affairs Office, as saying, “The communications mechanism between the two departments can only continue if the ‘92 consensus’, which represents the common political foundation of the One China principle, is adhered to.” This referred to China’s Association for Relations Across the Taiwan Straits (ARATS), a semi-official organisation that works with its Taiwanese counterpart, and Taiwan’s the Straits Exchange Foundation (SEF). The two departments deal with issues that are too legally or politically delicate to be handled through official government channels. The two organisations, which have played a critical role in improving ties between Taipei and Beijing, renewed contact in 2008, following almost a decade of tension under DPP rule that ended with the election of Ma. Now the tension appears to have returned. Tsai and the DPP have never acknowledged the consensus. 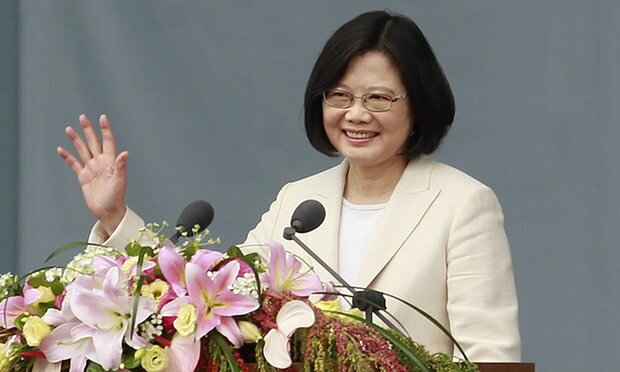 In her inauguration speech on May 20, Tsai reiterated her previous stance of recognising the 1992 meeting took place, but did not endorse its conclusions.